Adopt a child from Bulgaria. Adopting internationally forges a bond with your child’s country of origin. Bulgaria is a special place in and of itself. The adoptive children in Bulgaria range in age from toddlers to teenagers. Single children and sibling sets are available for adoption. The majority is of Roma (Gypsy) descent, a smaller minority is Turkish and an even smaller number are of Caucasian ancestry. A large number become wards of the Bulgarian government as a result of abandonment rather than abuse. The children are well-cared for in public orphanages or in foster home settings. They have been extensively evaluated and charted. As a result, there is much detailed information about children for prospective adoptive parents’ consideration. Bulgaria is a Hague Convention country for adoption purposes and, as such, has highly legitimate and ethical practices. The Bulgarian Ministry of Justice is the designated Central Authority for the country. They have a superior record for the quality of their work, keeping the best interest of the child in focus. Bulgarian adoption law permits married and single male or female parents internationally, but does not allow for LBGT persons. There is no upper parental age limit, although there is a regulation that does not permit a greater age difference than 50 years between child and parents. This requirement can be waived for some special needs children. Families can expect comprehensive services abroad through the partner agency including accompaniment to all major appointments, translation of documents, emergency assistance and some site seeing for a fulfilling experience. The Bulgarian Adoption Process That US State Department has recently signaled that pre-matching or so-called soft referrals are not sanctioned. Adoptive family should then have a completed home study and dossier before they can expect a match for one of our Bulgarian partner agencies. Our Bulgarian partner agency acquires new profiles of children on a monthly basis. Generally these adoptions from start to finish take about a year’s length of time. The Bulgarian adoption process is overwhelmingly a special needs country. Older children’ age alone may be the designated special needs. However, children that experience early life trauma and lives in children’s homes are likely to have different kinds of challenges to overcome. Adoptive families should expect two trips to Bulgaria. The first occurs for the purpose of meeting the child(ren) and seeing if it is mutually acceptable to the parties involved. This trip is five to seven days in length. A return trip is slated for the finalization of the adoption abroad and/or the exit interview at the US Embassy. This trip can be a minimum of ten days to complete the necessary steps for Bulgaria and US requirements. Bulgarian post-placement requirements entail four reports sent back, at regular six-month intervals the date the adoption was finalized. Impressions of Bulgaria: A most hospitable people with a Mediterranean lifestyle; excellent dining integrating a farm to table approach; A crossing place for civilizations through the ages; The golden treasures of the Thracian culture, one that is more ancient even than the Pharaohs of Egypt; Monasteries with fresco covered walls, intricate tile work and gilt interiors, the air heavy with incense. 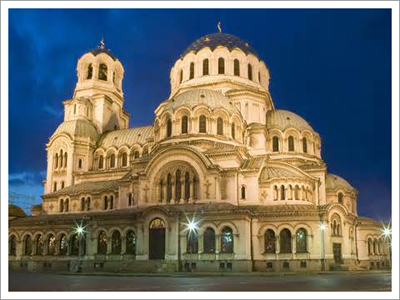 Sofia, a sophisticated capital, the political and economic hub of the country; Vitosha street life for fashionistas and people watching; Varna and the Black Sea, the vacation mecca for its citizens on pristine and peaceful shores. Mountains rising up in the interior, a place for outdoor pursuits and spiritual renewal.